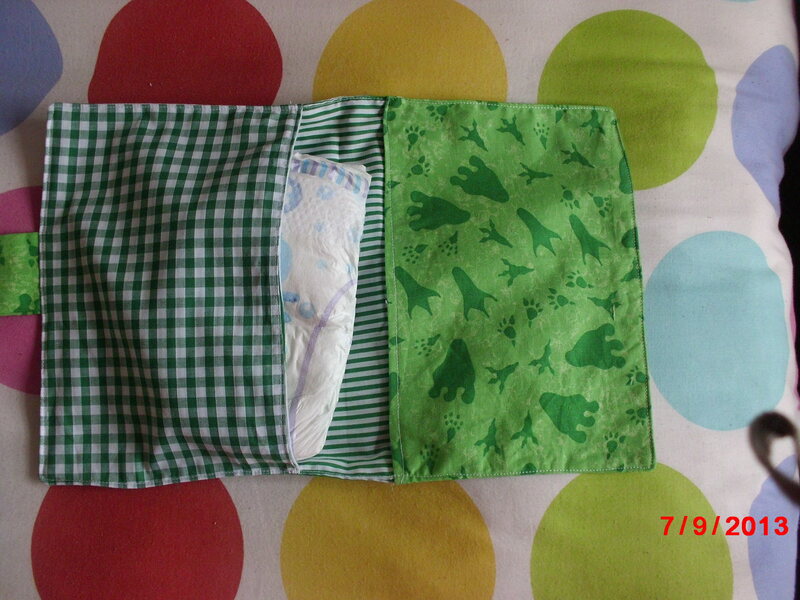 These holder are perfect for nappies one side & wipes the other. 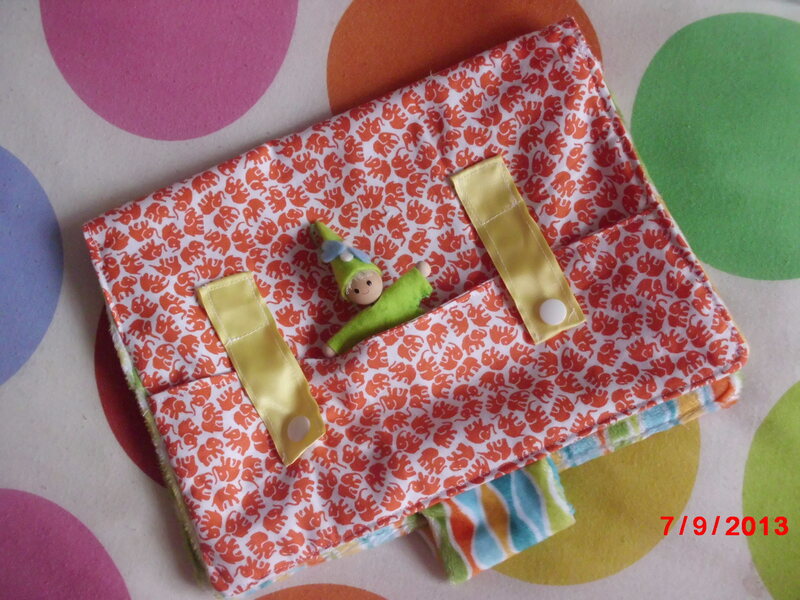 You can use this holder for all nappy sizes including cloth. 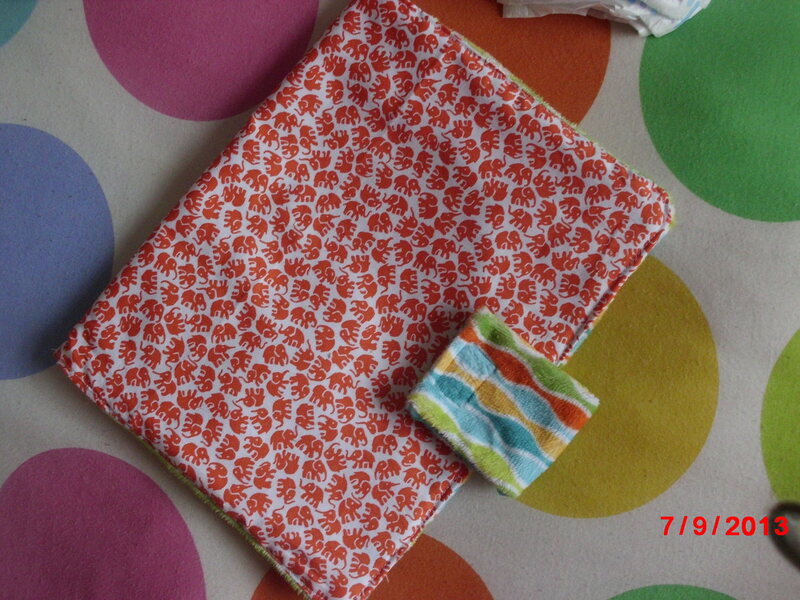 Pockets 18 cm x 27 cm – cut 4 or 2 on the fold. 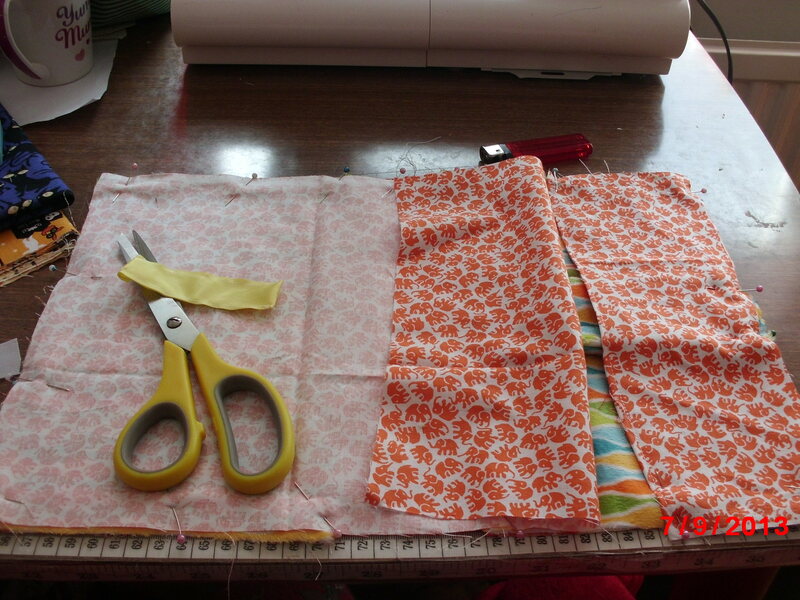 I chose to draw a pattern so I cut 2 main body pieces on the fold (saves paper). 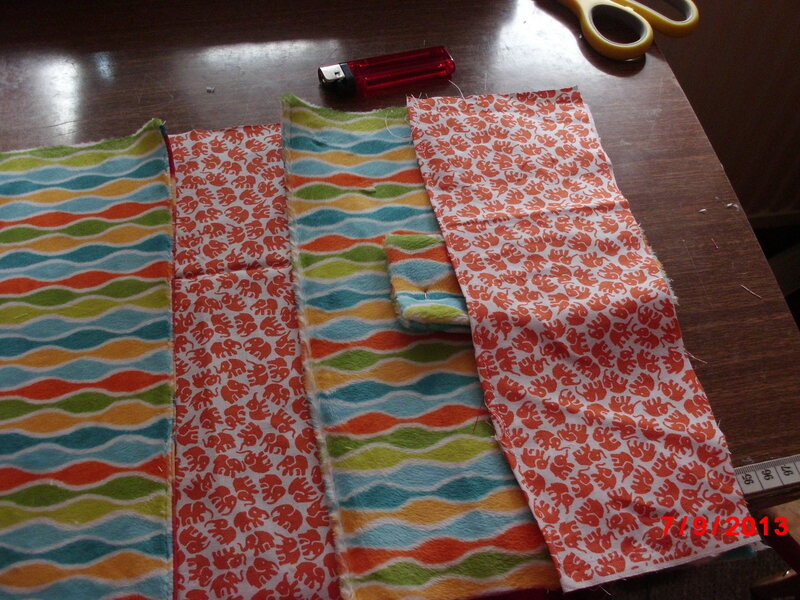 I didnt have enough material to cut the pockets on the fold so cut 4 separate pieces. 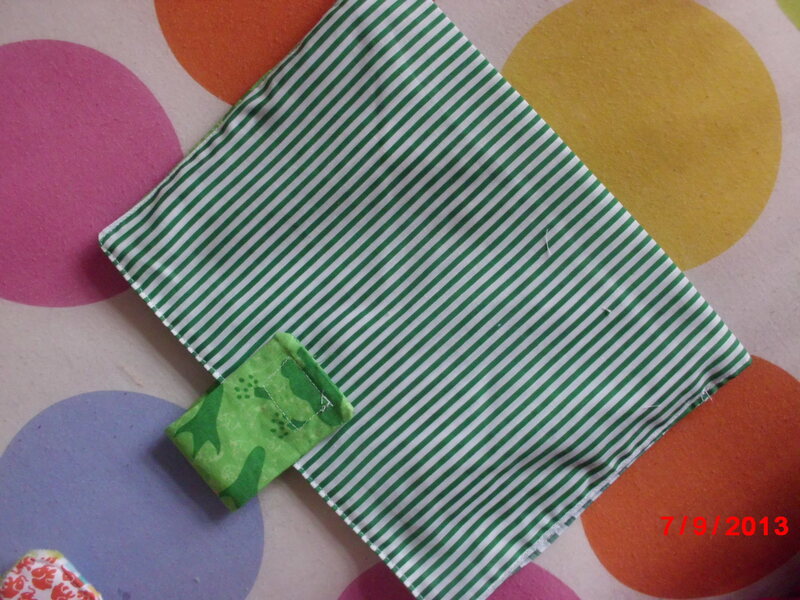 You should end up with 2 main body pieces (green stripe) 2 pocket outers (dino feet & gingham check) 2 pocket liners ( smaller green stripes) & 2 strap pieces (smaller dino feet). 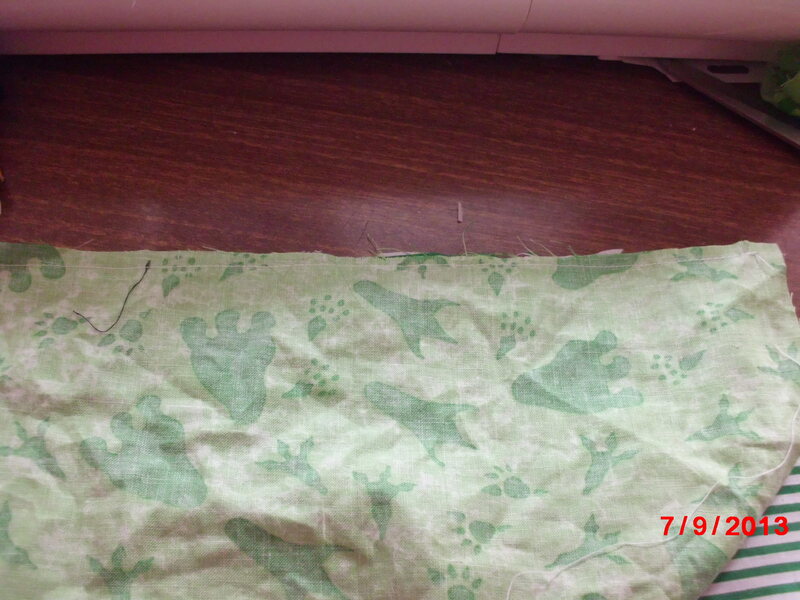 Start by placing strap pieces right sides together & sew round 3 sides using 1cm seam allowance. Turn out & place velcro on the closed end. 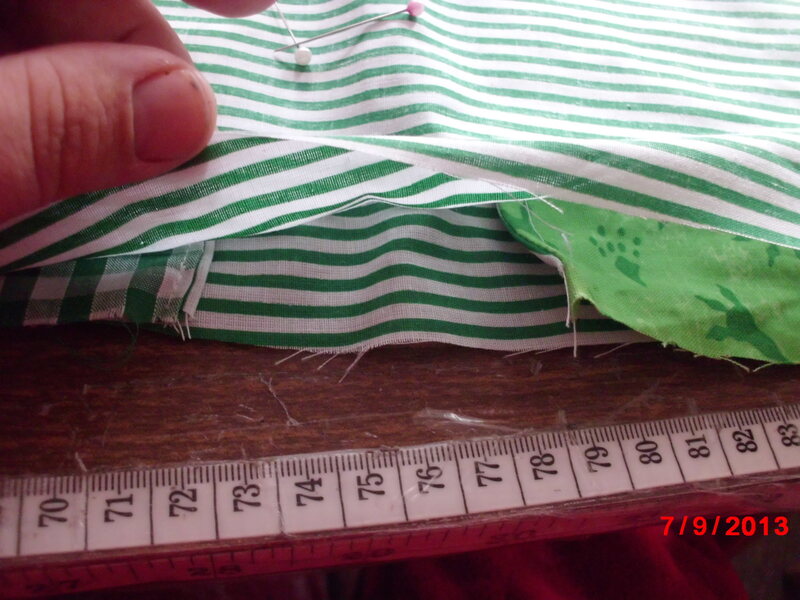 Next if you have pocket outers & linings as separate pieces sew them right sides together using 1 cm seam allowance on one of the longer sides. 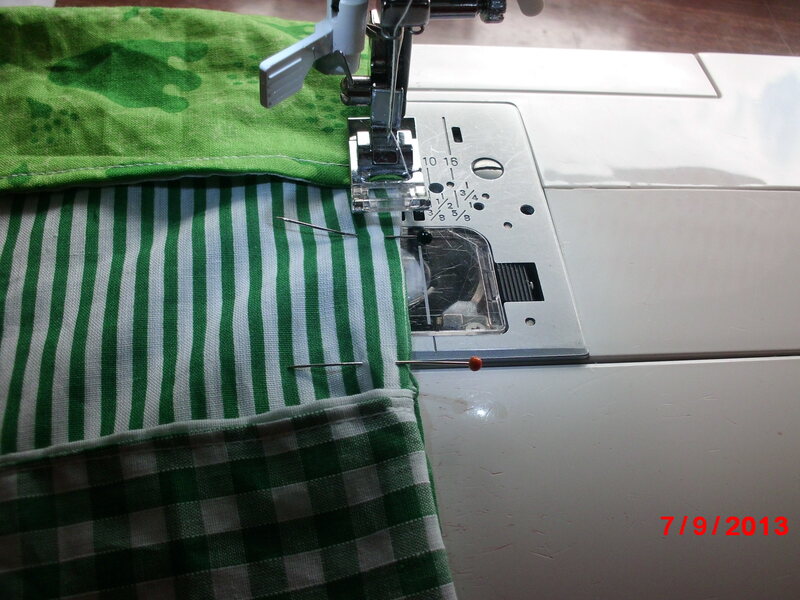 Turn to thr right side & top stitch. 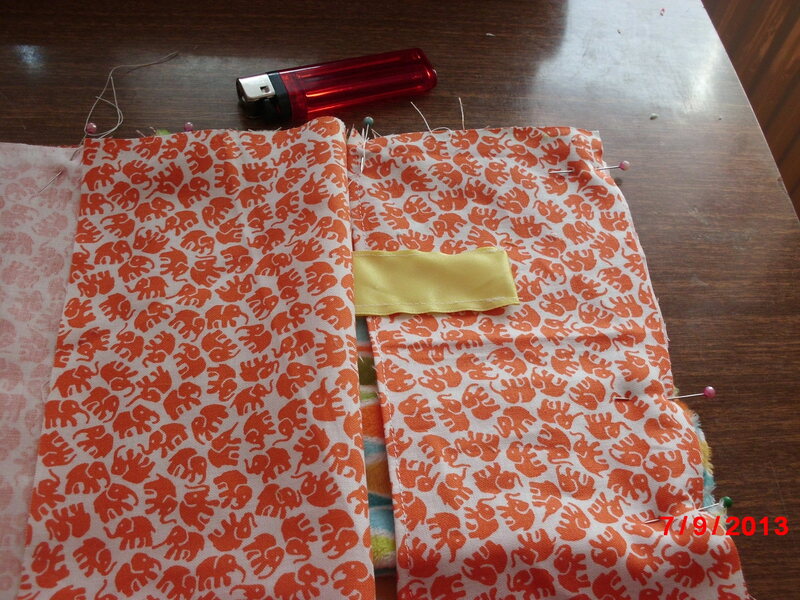 Once you have completed both pockets you can layer your pieces. 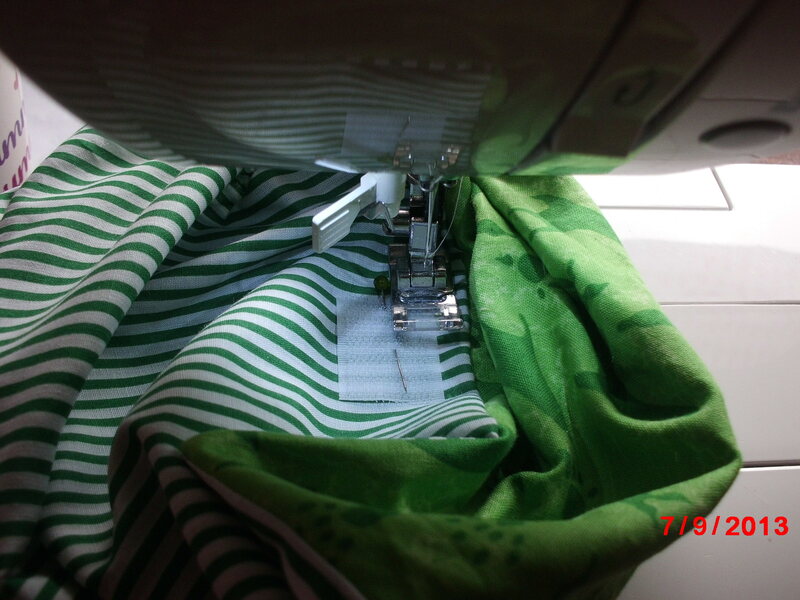 Place one of the main body pieces with pattern facing up with the 2 pockets also pattern you want to show facing up either end. Make sure the finished edge faces in. Place your strap with velcro facing down half away along as shown. 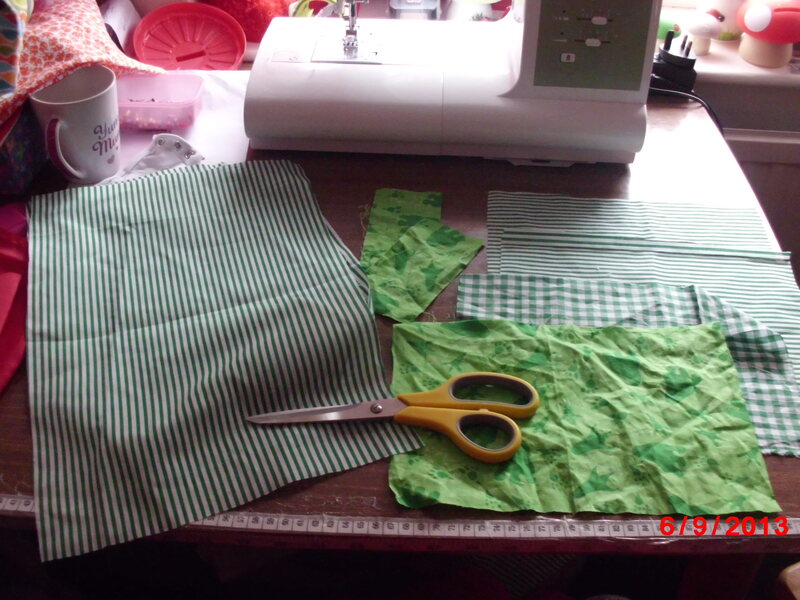 Place the other main body piece with pattern down so have a fabric sandwich pin & sew all edges leaving a small gap for turning. 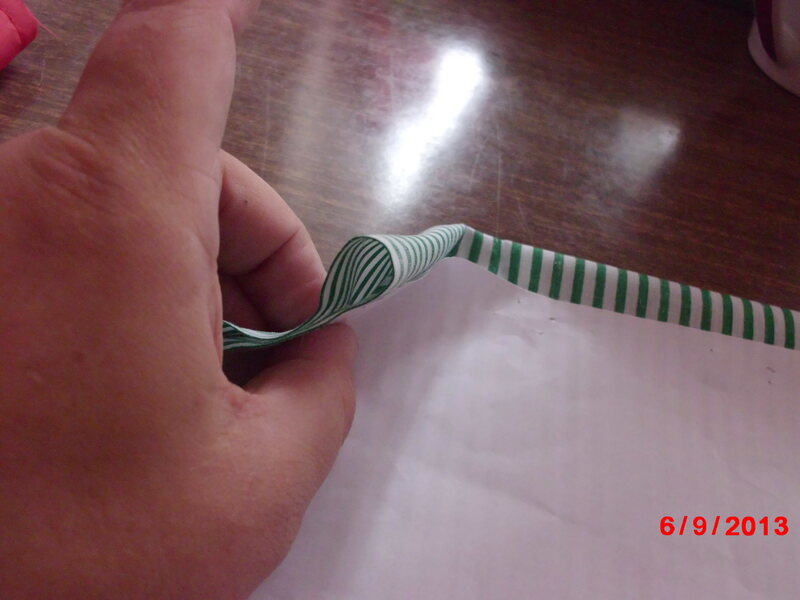 I find leaving the gap between the pocket edges useful for neatness. 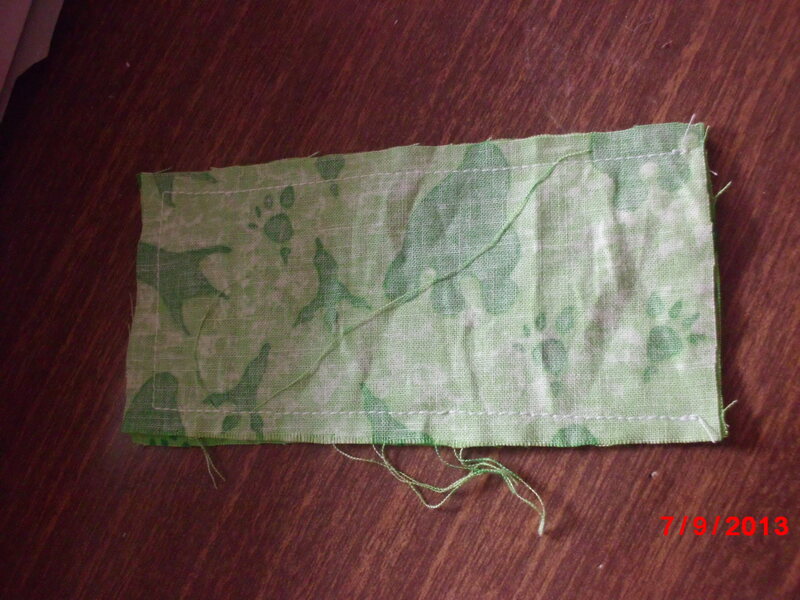 Once sewn clip corners & turn out to right side. 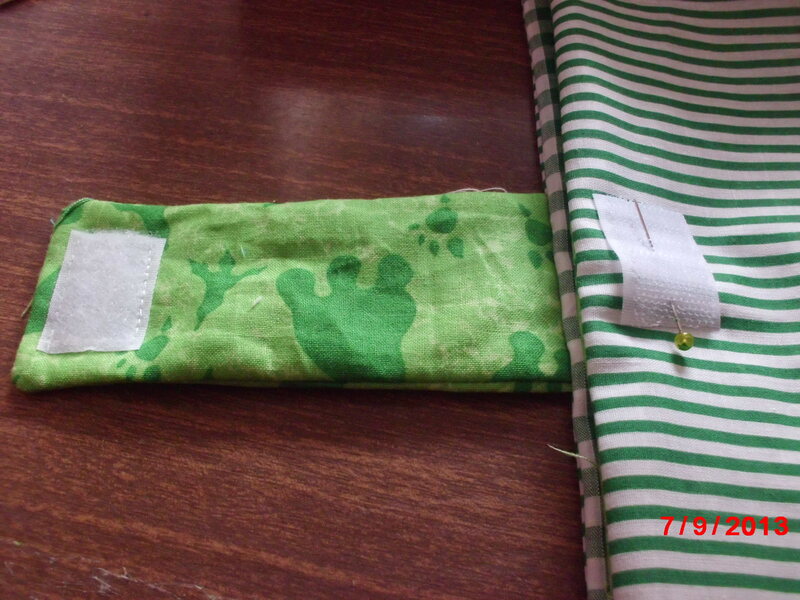 Place holder so your velcro on the strap faces up line up other side in line with it but on main body piece. 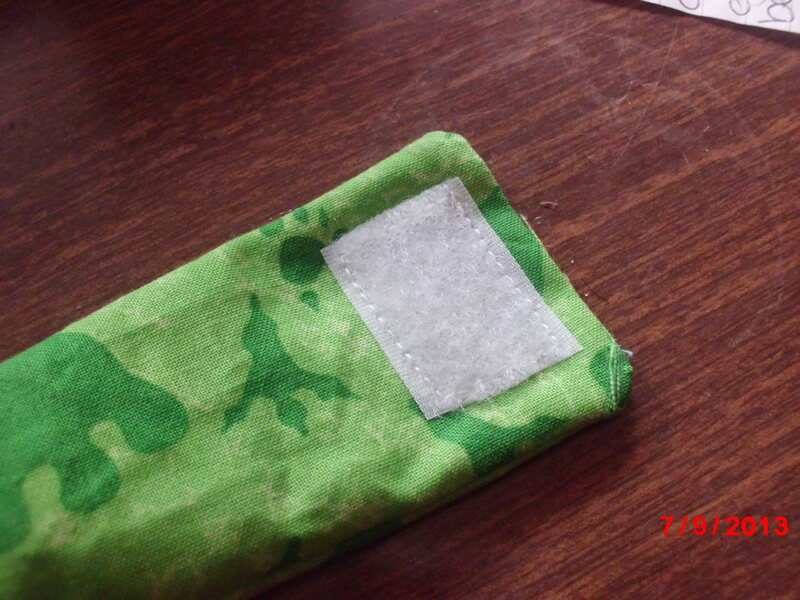 You will have to bunch up your material a little to sew velcro on so you don’t affect the use of the pocket. 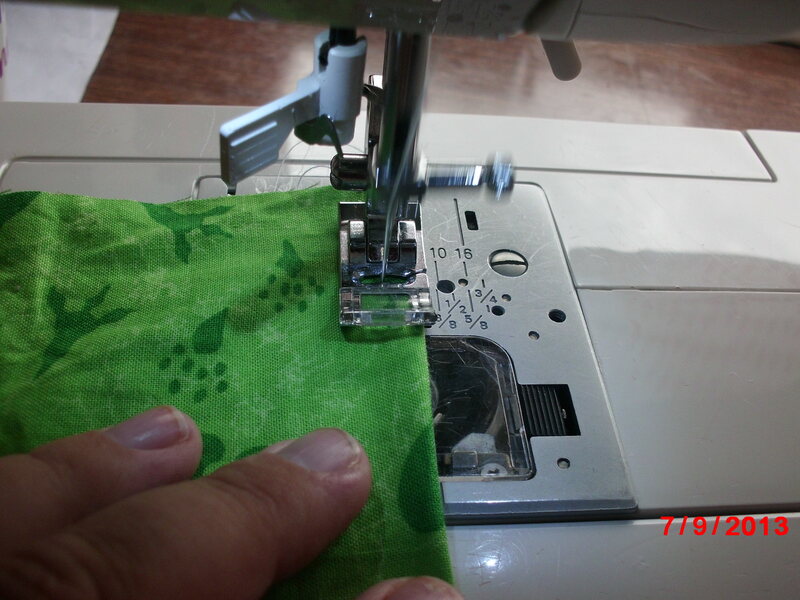 You may find it easier to sew this velcro on before sew the holder together but I personally find it easier to line up this way . 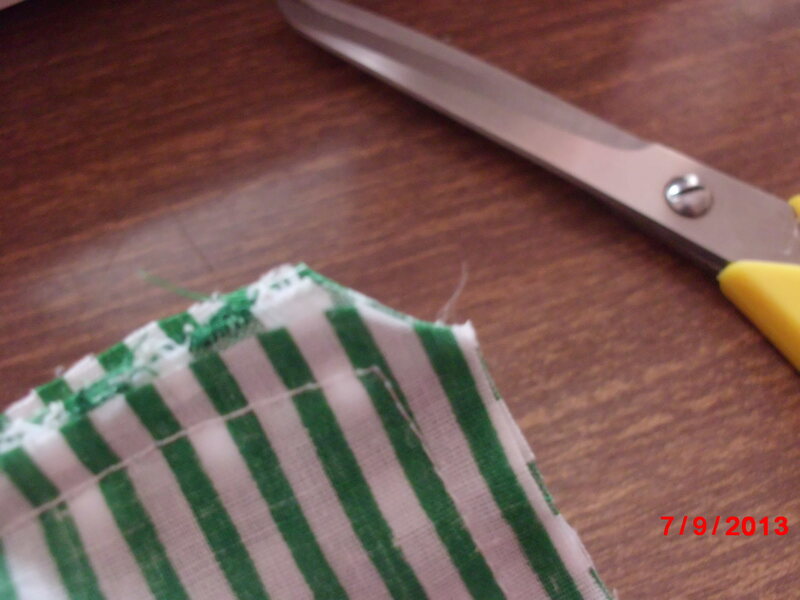 Top stitch entire edge closing up the gap you used for turning. 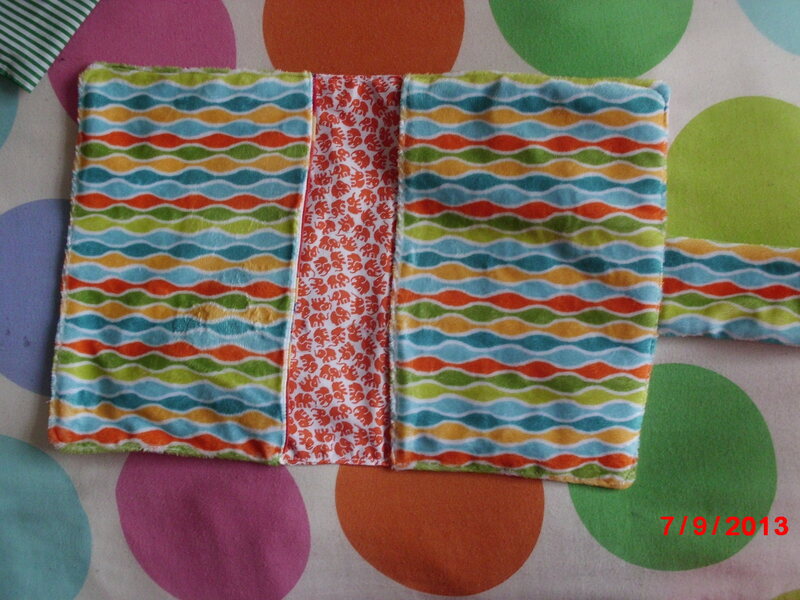 I also made another with an outer pocket. 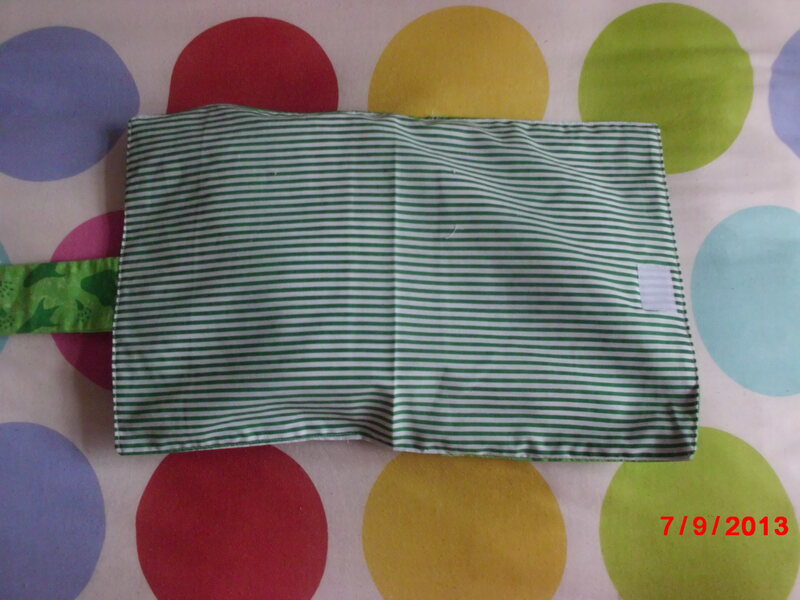 The pocket size is up to you but mine was just over half the height of the inner pocket & same width. 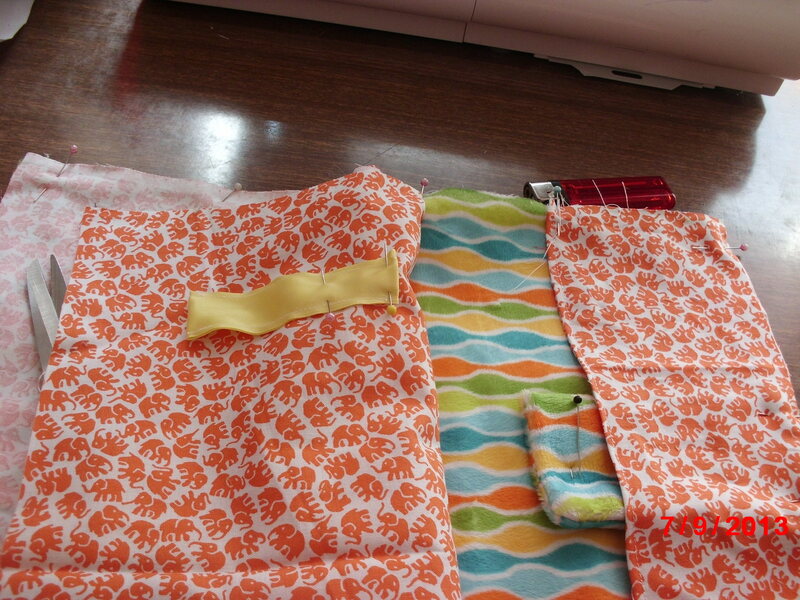 I started by sewing the top edge of pocket together & top stitching on right side. 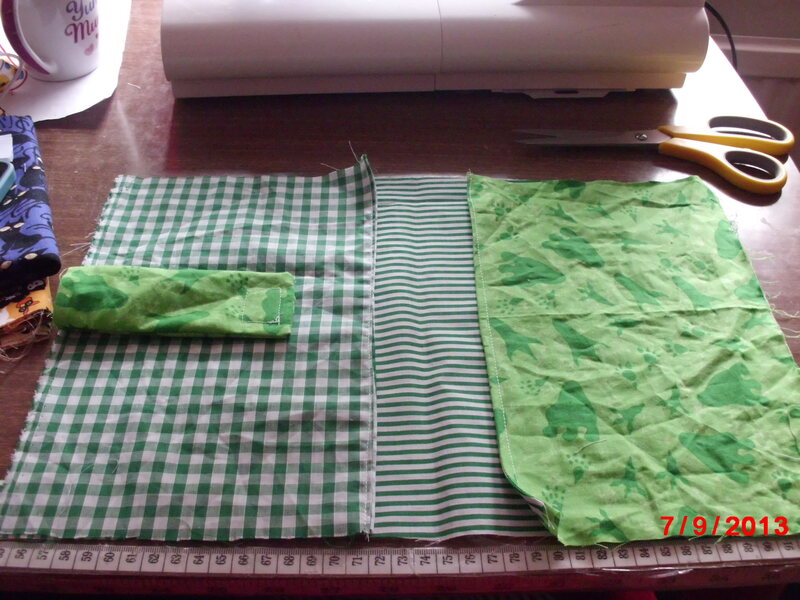 I layered my pieces as above but before I put the 2nd main body piece on top I place the pocket on same side as the strap. I needed to attach some kind of fastener for the pocket so I placed the 2nd main body piece over but didnt pin it over the pocket, I folded it slightly back on itself & positioned the ribbon tabs I made as shown NB the lighter was to seal the ribbon edges. 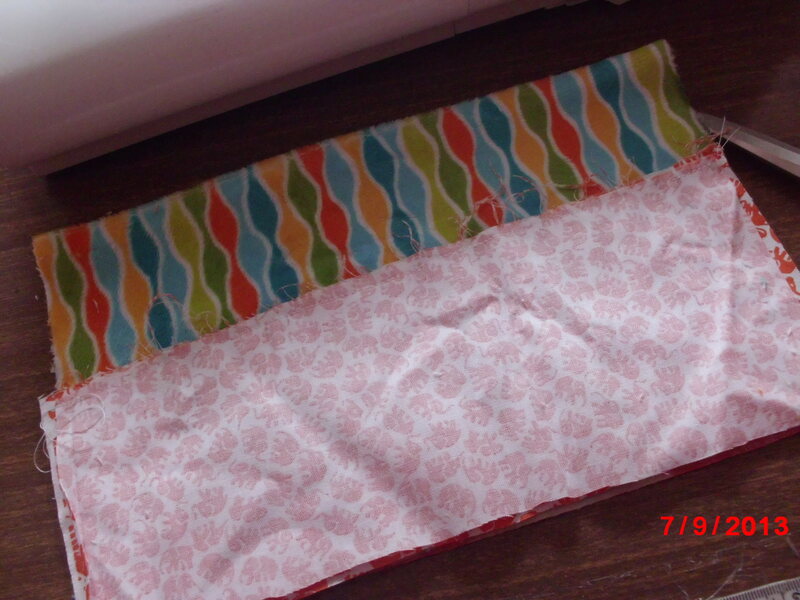 I then box stitched them both on & sewed up the holder as before. 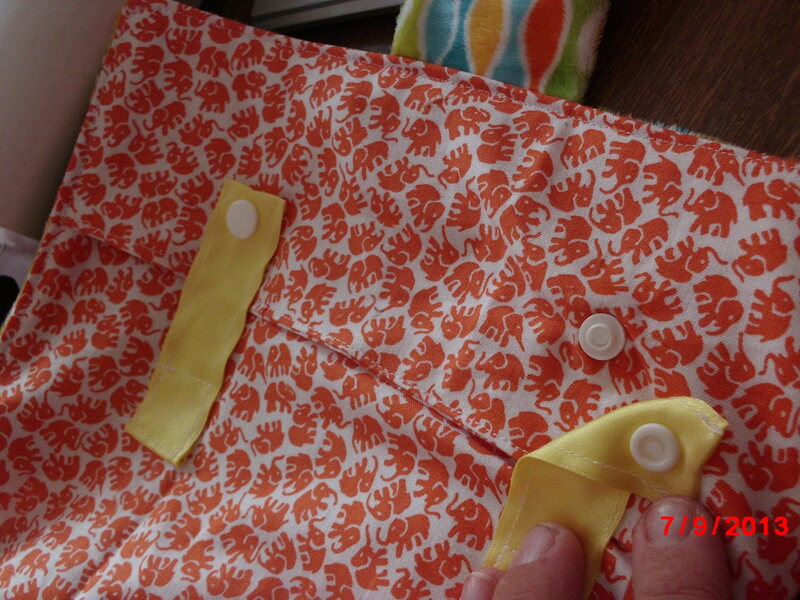 When sewn up I applied kam snaps to the taps & the outside of the pocket. Here are the 2 featured here plus one I made earlier. 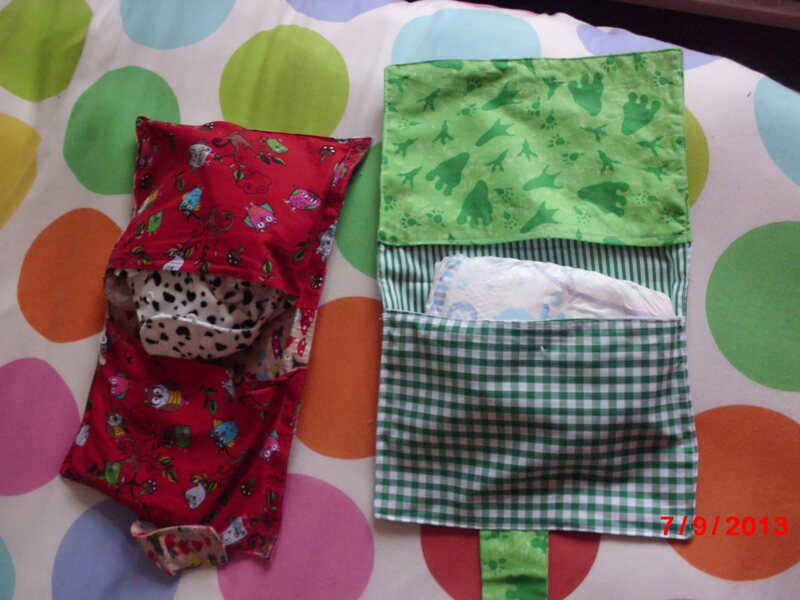 As you can see they fit disposable & cloth nappies perfect!